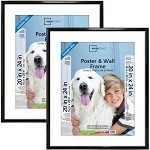 Display a poster, photograph or artwork for all to admire with this stylish Mainstays Trendsetter 20" x 24" Poster Frame! Made of plastic with a styrene front, the design is sleek, streamlined and easily complements different decor themes, from classic to contemporary. 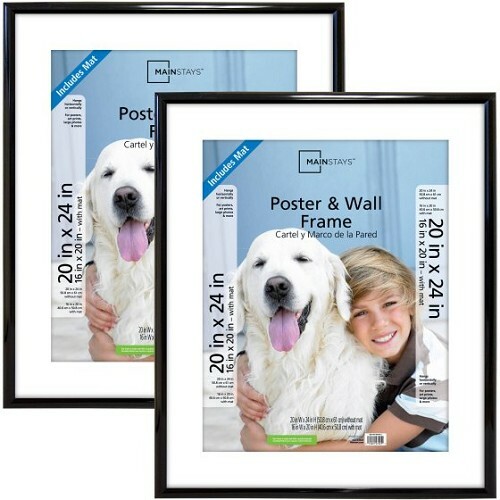 Offered as a set of two, this black poster frame is also an excellent choice for brightening up a home or professional office. Use it to dress up a bedroom wall or to showcase a favorite band or sports team!